Adrian Brown collected the data for this image of M95 on the 25th, 26th and 27th of March 2012 using his Celestron 5" f/10 Schmidt-Cassegrain, an ATK16HR CCD camera and Astronomik Luminance and CLS light pollution filters. It is comprised of 37 x 5 minute exposures. 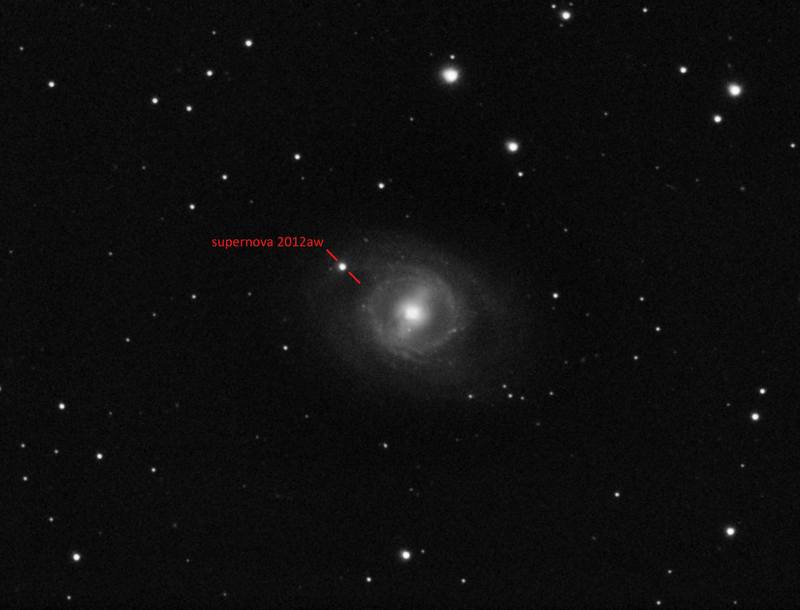 The image also captures supernova SN 2012aw, the position of which is marked in the second version of the photograph below.